a cooling refreshing mexican drink made from watermelon. 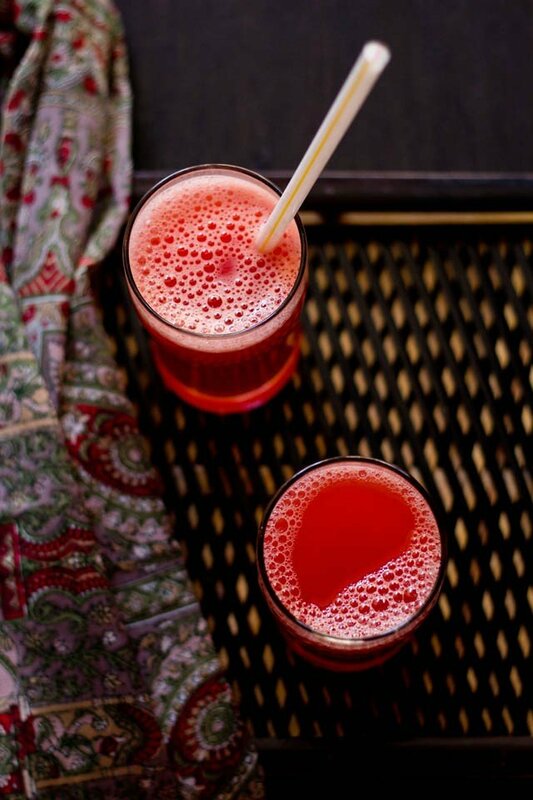 watermelon agua fresca recipe – here’s a refreshing and cooling mexican drink for summers – watermelon agua fresca. 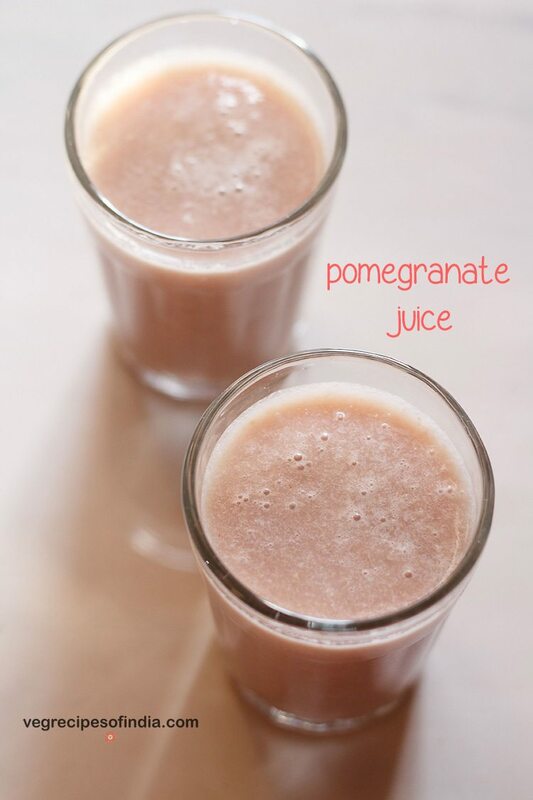 its so refreshing and cooling that you can include this drink in your summer diet. the temperatures are soaring here. march had been pretty hot, wonder what april & may has in store . 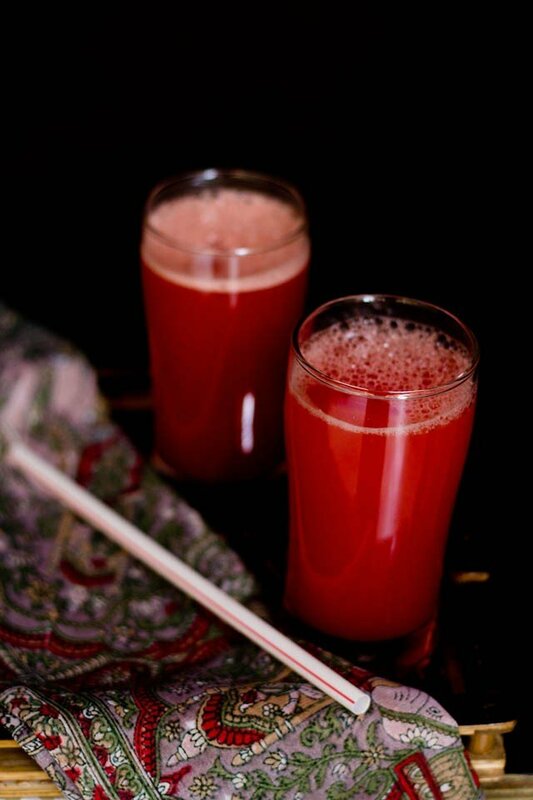 this drink has a different consistency & taste than our regular indian watermelon juice. 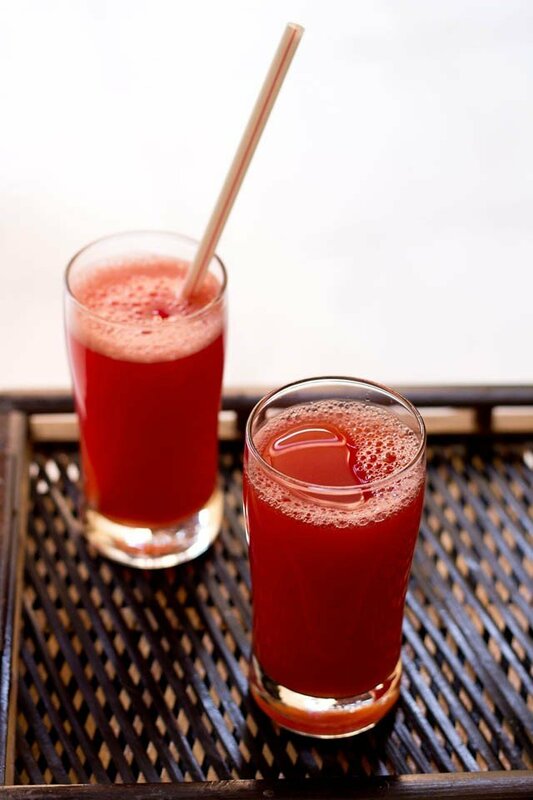 in this mexican drink, the watermelon juice is strained & extracted from the pulp. unlike the watermelon juice we make here where the juice has the pulp too. to make this mexican drink a little spiced, i added some ginger to it. this is totally optional and you can make the watermelon agua fresca without ginger. hints of lemon, ginger in this watermelon agua fresca makes this a refreshing drink for the summers. i used 1/2 of a large watermelon and it yielded me approx 5 glasses of juice. the aqua fresca is easy to prepare. you can serve it chilled with ice cubes. or you can chill in the fridge and then serve this drink. 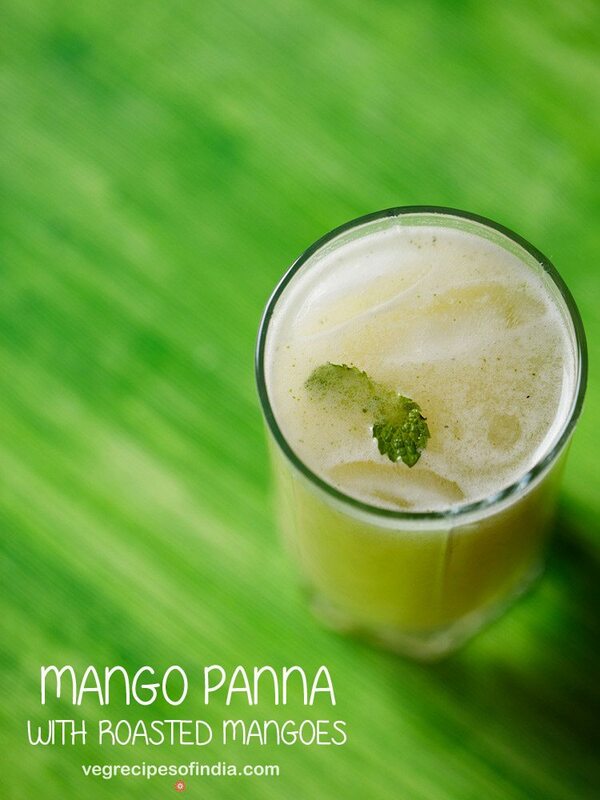 blend all the ingrendients in a blender, except the ice cubes & mint leaves. keep a large bowl or pan below a fine strainer. pour the juice on the strainer. 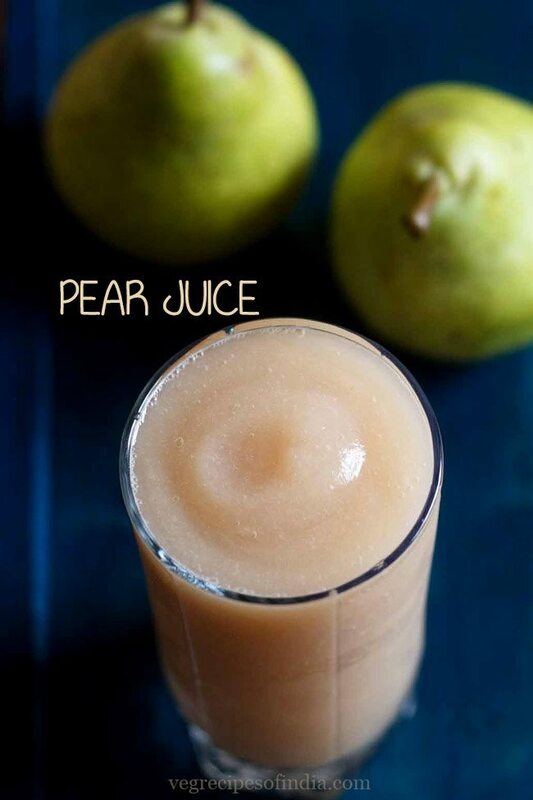 press the pulp on the strainer with the back of a spoon so that the extra juice also filters through. pour the agua fresca in glasses and serve with ice cubes. you can also chill the watermelon agua fresca in the fridge. 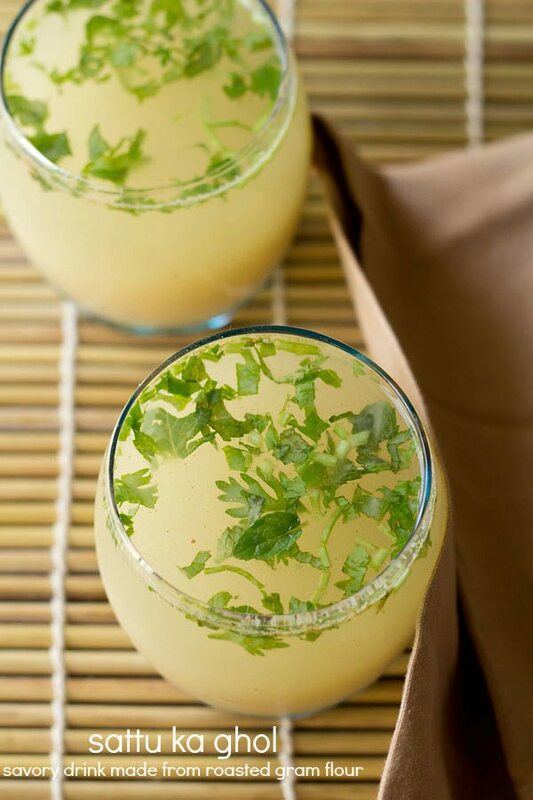 garnish agua fresca with some mint leaves or serve plain. 1. the amount of water can be adjusted. since watermelon already has a high water content, you can even adjust the amount of water to be added. 2. adding sugar is optional. add as per your requirements. 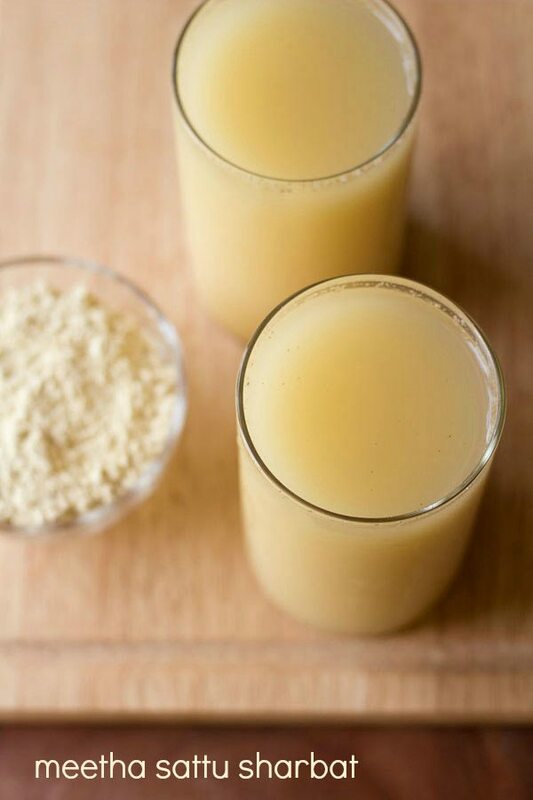 this drink looks so refreshing…perfect for the coming summer. 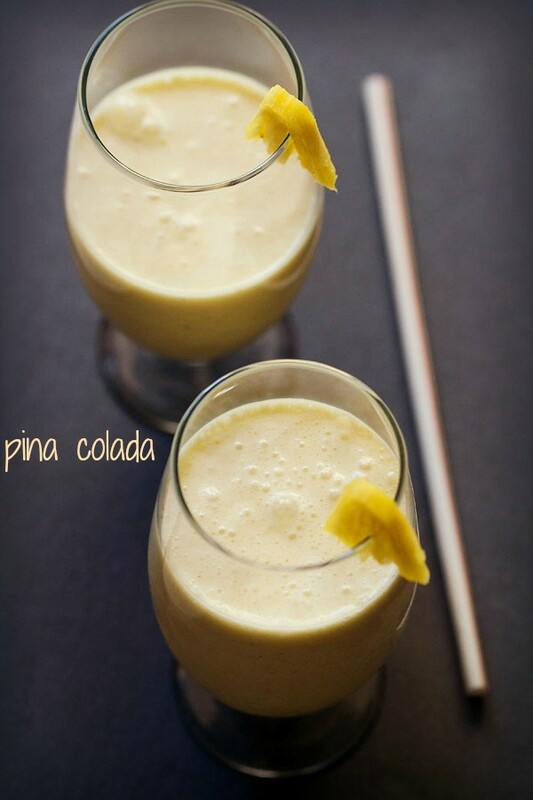 Perfect for the summer heat….refreshing drink. Wow, I need this right now! Too hot hear and need these badly. What a photography,Wonderful!